Metatarsal stress fractures six weeks of no running and other myths. Today we’re going to talk about stress fractures in the foot and all of the various myths that I hear from runners and doctors alike. Hi I’m Doctor Christopher Segler and thanks for tuning in the Doc on the run podcast where we help you understand how to keep training and running even if you’ve been injured. You know stress fractures are one of the most common injuries affecting runners, In fact studies have reported that up to 20% of all visits to sports medicine clinics are related to stress fractures. And many times when a runner starts getting any kind of aching sensation in the foot they start to worry that it might be a stress fracture that is going completely wreck their training, halt their progress and ruin their performance at a key race. Well, this does happen. And so first I’m going to give you an example of a real patient that had a stress fracture that completely screwed up his race season after he continued on a stress fracture. He had been rapidly increasing his mileage while training for an Olympic distance triathlon. He started to notice a vague aching sensation in foot one day during a run. The next day the foot was sore. By the end of that day at work it was throbbing. He took off a couple of days from running and rode his bike instead. If started to feel a little better so, he resumed running a couple of days later. Then he noticed the dull ache in his foot with every step during his run. When he took his shoe off he noticed some bruising of the foot as well. But he kept running anyway. And in the same way, running doesn’t really cause stress fractures. Stress fractures occur due to overuse or overload of the bone, when the rate of stress-induced injury or micro fracture or damage to the bone exceeds the rate at which the bone can repair itself. Now that is really the bottom line. You have to really understand that stress fracture isn’t a simple thing. Most runner seem to have this idea in mind that they sort of visualize a little crack in the bone, that’s just a teeny, tiny little crack in that sort of true but it’s not really the whole truth. You have to understand that fractures have a whole range of injury. This is true for stress fractures as well. The way I try to explain this to patients is like this. If you take a coat hanger for example and you start bending the coat hanger back and forth, something happens. At first it bends a little bit. And your bones do actually bend a little bit. They can bend a little bit and absorb stress and move back and forth when you run or when apply a lot of stress force to the bone. The coat hanger could do the same thing. You start bending the metal coat hanger back and forth and if you keep doing that you will notice after a few times of bending it actually it starts to get warm. It heats up because of the friction and the movement of the metal when you’re bending the coat hanger back and forth. Now if you keep doing that, you just keep bending the coat hanger over and over and over, it really doesn’t take that long before it gets worse. In less than a minute you can break the coat hanger just by bending it back and forth. And that is sort of analogous to stress fractures. When a stress fractures first begin it is basically inflamed. It’s kind of hot. It’s kind of angry. It’s kind of irritated just like a coat hanger that has been bent a few times. But if you continue to run on it, if you continue to ignore it, it will eventually develop a visible crack in the surface of the bone…which most people think of as a stress fracture. If you keep running on that, you just ignore the pain, ignore the bruised and then you keep running on it, it will predictably get worse. If you keep applying the same level of stress and you’re applying more stress that your body can absorb, then the bone will eventually break. Then you get what we call a pathologic fracture or basically a completely broken bone. If you then still keep running on it, the broken bone will “displace” (which is the medical term for it). But all that means is it moves. It moves out of position because when you’re running on it the ground pushes that piece of bone up out of the way and it shifts out of position. And that is when you get surgery. That’s when you end up on crutches or in a cast and you have a complete disaster in terms of your training season. That is the whole thing everybody wants to avoid. That’s part of the reason that doctors just want to tell you to stop running the very first thing, because running is stressful. We all know that. Whether not you actually have to stop running depends on a lot of different factors and where your injury lands and this continuum of trouble that we think of as a “stress fracture.” It depends on how much trouble there actually is and how badly injured you actually are. So there are lots of ways to tell this. The first thing we talked about are the signs of stress fractures. The first thing that people get when they are running and they’re starting to develop a stress fracture is pain. Again, when you start moving the coat hanger and you bend and you stretch and gets a little bit warm, so that sort of what happens in somebody that starts to get a stress fracture. You get what I think of as a “stress response.” It’s not really a true stress fracture it’s kind of pre-stress fracture. Basically, the bone has been tweaked a little bit too much. You’re starting to get swelling within the bone and that causes pain. If you keep running on it the pain gets worse, but if you run on it enough, you actually do get what would be a visible crack in the bone. You also get a lot of other signs and not just pain, you also get bruising and swelling. When you bend the bone and you crack it, it bleeds. That bleeding is underneath the skin. When you see a bruise which is really just bleeding underneath the skin. Then your body tries to fix it. When your body is trying to heal this injury you get swelling. So you have pain, bruising, and swelling in the worst cases. Again, there’s a whole range of trouble. And all these different signs can help you understand how bad it is, and whether or not you can, or should run. The first thing the doctor should be looking at when they think you have a stress fracture is how much bruising and swelling you have. After all bruising and swelling are the worst indicators of the severe stress fracture. The bone cracks and bleeds. If you don’t have any bruising, then it is unlikely you have a severe stress fracture. If there is no bruising you probably have one of those milder versions of a stress fracture. Or maybe it’s even just a stress response. If you don’t have any pain when you push on the stress fracture, then it also likely to be a much less severe injury and less likely to stop you from running. The same as true as swelling, if you have swelling that indicates your body is trying to heal or something. But the more swelling the more significant the injury. If you have less swelling than its more likely that you could continue to run and still heal. The other thing you consider of course is how much pain you have. Because pain can be a measure of how bad the problem is. If you are just sitting in a chair right now and your foot is aching, then that would indicate you have a more severe injury. If you have to run from a few miles before it starts to hurt, then that certainly places you further down at the other end of this spectrum. You’re more likely to heal quickly because that’s a less severe injury. In that case, if you can just do simple things to reduce the stress that you’re applying to the bone when you run, you might be continuing to run and still heal. If you pushed on the metatarsal bone and it hurts, that might be an indication if the bone is injured and that you do have a stress fracture. Again, this again can be very helpful because it can help you figured out how much pain you have when you pushed on the metatarsal. And then you can see if that pain reduces, or goes down, or in some way improves when you institute some of these simple strategies to reduce the stress on the metatarsal while you are continuing to exercise. 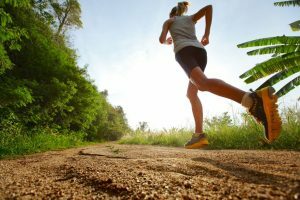 If you can reduce the stress being applied to the bone to keep running, and the pain level goes down, then that helps you assumed that you’re heading on the right direction. If the pain level continues to go up and it gets worse over time, then that’s an obvious indication you haven’t done enough to reduce the stress and you are probably continuing to make the things worse. Again if the pain goes down, then obviously you’re moving into the right direction and your metatarsal stress fracture may continue to heal, even if you continue to train. Another of the myths we are going to talk about is x-rays. Many patients think that well that if they are concerned they might have a stress fracture should get an x-ray. They think that getting an x-ray would help them understand whether or not they could not run. Well that is totally a myth and it’s just not true. There is a huge range of time, from a few days to many weeks, before a stress fracture will even show up on an x-ray. We are taught in medical school that there is this basic rule that around six weeks a stress fracture will start to show up on an x-ray. This is not complicated. Think about that for a second. If you are training for a race, can you really just wait for six weeks to see if you have a stress fracture or not? Absolutely not. You just can’t wait for six weeks to see if you have a stress fracture if you’re trying to train for a race. That doesn’t make any sense. The other thing is the time line is not just true. There’s this whole myth of “six weeks” for a stress fracture show up. That’s absolutely not true. There’s an enormous range. It could be just a couple of weeks before it shows up. It just depends upon your body’s response to the stress and healing. It could take many weeks, or maybe even months, before a stress fracture shows up on an x-ray. There’s been lots of studies actually show this huge variability of when X-rays will show a stress fracture. So, I personally don’t think most patients need x-ray for stress fracture unless the doctor actually confirms there would be a visible crack in the bone or a complete fracture of the bone that could displace or move out of position if you continue to exercise on it. There are really two reasons why doctors would want to take x-rays. One reason is to “see” that you have stress fracture, and the other one is to “prove” that you have stress fracture. What I mean by that, and what most patients don’t understand, is that many times we as doctors know that the overwhelming majority patients who really do have a stress fracture that just developed in the metatarsal bone, it actually is not going to show up on x-rays. So the doctor is not really expecting to see a stress fracture at all. Then doctor is basically confirming there isn’t something worse going on, like a bone tumor. But let’s face it, the doctor is basically taking the x-ray to mitigate liability. The doctor is taking the x-ray to make sure that there wasn’t something they could have missed. Very few doctors that are taking an x-ray of your foot when you just start having pain and you’ve been running on it, truly believe that they are going to see a stress fracture on the x-ray. But again that is not really going to help you if you’re trying to run. Having a doctor taking an x-ray a couple of times over a period of months doesn’t really hope you determine whether or not you can run. Many patients also know that MRI is more sensitive than x-rays for injuries, particularly running injuries. There’s no question that an MRI can help diagnose a stress fracture, but it really doesn’t do that much to help you determine whether or not you should run. In fact, in most cases the MRI will look so bad because all the inflammation that it will really discourage you from running. The MRI can be really sensitive. You may see lots of inflammation. The bone often looks really really angry. It may not be correlating with how bad the injury really is. There is always this idea that runners will see this tiny little crack on the MRI. But that’s almost never the case. What you actually see on the MRI is inflammation. When you look at an MRI, the MRI is basically giving you images based on two things: density of tissue and relative amounts of water or oil within the tissues. So within the bone, the inside of the bone, is bone marrow. Bone marrow is mostly fat (which is mostly oil). When you get a stress fracture and the bone has been stressed your body responds with inflammation which is inflammatory fluid. Inflammatory fluid is mostly comprised of water. And that infiltrates the bone. So you get water showing up inside the bone as this bright white signal which is normally it is black. Almost never is there a visible crack in the bone. It is only in severe cases (that would probably show up on an x-ray anyway) when you would actually see a visible crack in the bone on your MRI. So, MRI doesn’t really do that much to help you differentiate whether it’s safe to run or not. Now the second myth that we are going to talk about is this idea of six weeks in a fracture walking boot. All of the hands go up. Virtually all the hands go down. There may be two or three doctors in there that to keep their hands up. But in most cases at least one of them is wearing running clothes. You can just tell that she obviously went for a run early in the morning and then just ran straight to the session so that she could fit in her run without missing any of the conference sessions. The thing is then what I do is I had the first slide. The first slide is an x-ray. It’s an x-ray of a foot. To any doctor it looks like a fairly obvious fourth metatarsal stress fracture. So then I say, “Okay great.” And then I move on to the next slide. The next slide is a different foot, obviously a different metatarsal stress fracture. Not a word from the audience. I move to the next slide. The next slide is actually a picture of the two patients. One of them is a 32-year-old female *ultra-marathoner who has never been injured before. She has a totally healthy diet. But she got a metatarsal stress fracture doing 100-mile trail race. The other patient is a 74-year-old diabetic who weighs 400 pound if he weighs an ounce. He has peripheral vascular disease, renal failure, poorly-controlled chronic diabetes. He has every bad medical problem on the planet. He’s taking about 30 different medications. Because actually six weeks and fracture walking boot is not going to be the appropriate treatment for either one of them. It’s just completely unnecessary for a healthy runner and it’s not enough for unhealthy diabetic. The thing here is that six weeks is a general rule is how long to heal a fracture. But what many runners actually have is a stress response, it’s not really a true fracture. So it’s not really going to take six weeks to heal. Most runners do not need a fracture running walking boot for six weeks. Most runners will heal a lot faster than that. In fact, many runners can keep running. That brings to the next myth, that you have to stop running. But that also is just not always true. I’m going to give you a couple of examples of people who can (and have) successfully run on metatarsal stress fractures while were training or racing. The first one we talked about is actually my wife. We were in Hawaii in October one year. She has a stressful job. And at the time she was actually pregnant. Pregnancy is a stressful thing because you have a growing baby sucking all the nutrients out of your body. We both like to run whenever we go to Hawaii. My wife does this interesting thing when she gets mad at me. Her pupils dilate. You may have seen this before on a National Geographic special, when you see a cheetah that’s crouching down in the grass getting ready to pounce on gazelle. Well her eyes do that same little thing when she gets mad at me. Her eyes did that when I told her she had a stress fracture. So the bottom line is she continued to run. She continued to train. She continued to heal. And she didn’t kill me. To me that was a success. There was another patient who called me one time as he was training for ironman Louisville. He had been training for almost a year. He called me and he said, “Okay I have a metatarsal stress fracture my doctors says I have to stop running for six weeks.” At the time he was four weeks out from Ironman Louisville. I explained that the most reasonable thing for him to do was to just skip the race and sign up again next year. But then he explained to me that he was worried he would get divorced if took another year to train. His situation was that he wanted to do an Ironman. He signed up for Ironman Louisville and been training for nearly a year. He owned his own business. They had three small kids. His wife had been covering for him every Saturday and Sunday while he went off to do his long bike ride and his long run on the weekends. So I said, “Well okay. Then we have to talk about your strategies. We have to talk about how bad it is and where you really are on this continuum. He was having pain when he was running. But he didn’t really have much pain when he pushed on the metatarsal bone. Just a little bit of pain. So in my mind this was one of those mild stress fractures that could probably heal if he were to just take some stress off of it. I didn’t think he would take six weeks to heal. It seemed to be a minor stress response, not a true stress fracture where the bone is actually cracked. He did ask what would be the worst case scenario. I said, “The worst case scenario is that you start running and it actually develops into a full on metatarsal stress fracture. You keep running. You ignore the pain, the bone cracks. The bone moves and it shifts out of place. That would be the very worst possible scenario. But even in that worst possible scenario we could still fix it. Yes, it would be surgery…so don’t be confused about it this. It would mean surgery. But we could realign the bone, put a little plate and some screws in it and you would continue to run later. It would be unlikely to affect your running ability long term. I am convinced that if I broke my metatarsal bone and had to have surgery to realign and fixated the bone so it could repair itself in a normal position, I am convinced that a year later I would still be running. I would still be doing Ironman triathlons. It wouldn’t really affect me long term. So you have to weigh that risk. You have to weigh the risk of doing your race or not doing your race. Then you have to factor in whether or not it’s worth the risk to you to consider the risk of surgery as a possible option if it continues to get worse as you run. You can decide that once you get off the bike, you can start to walk. If it doesn’t hurt, start to run. If it doesn’t hurt when you are running, you can keep running. You just have to assess how you’re doing when you start to run. If you feel good, then keep running. So that’s exactly what he did. He went to Ironman Louisville. He had a decent swim. He had a pretty good bike ride. When he got off the bike he was able to run. He had a little bit of soreness, but it never got any worse. He continued to do well and he finished pretty close to his goal time. Given that he was told he had a broken foot and that he couldn’t run and do race at all, it’s pretty amazing that he finished within about thirty minutes of his goal time at Ironman Louisville. So the point of these stories is just to drive home the fact that you don’t always have to stop running to get a stress fracture to heal. You just have to decrease stress enough to actually heal. To explain this concept, I think it is important to understand the difference between a patient’s threshold for injury and the threshold for recovery. Let’s all face it every runner understands they have a threshold for injury. If you are sitting on the couch and you don’t train at all, there is no risk of an over-training injury. But if you do a marathon every day for the next ten years, at some point you’re going to get injured. So somewhere between sitting on the couch doing and doing too much is your threshold for injury. That’s the point at which you have done more tissue damage than your body can repair before your next workout. If you damage tissue faster than you can repair it, you will get injured. You have to understand you have a threshold for injury and a threshold for recovery. While everyone understands the idea of a threshold injury, nobody talks about the threshold for recovery. Everybody thinks about your threshold for injury or recovery as a definitive line defining how much activity you can do before you get injured, but that’s just not true. It is malleable. Let’s imagine for a second that you have a stressful work situation. You are stressed out at work. You have some emotional stress. You’re enthralled in some really stressful work project. You were barely sleeping at night. All the stress and the lack of sleep starts to change your hormones and your ability to recover. If all of that is going on you will not be able to train as hard without getting injured. You know that if you eat a poor diet, your body can’t rebuild tissue as fast. That nutritional stress will decrease the amount of distance you can run before you start to get injured or you sustain an over-training injury. You can move the line on your threshold for recovery. You can move the line and that allow you to train more without getting injured. It can also allow you to train a little bit more and still heal. So it’s really important to try to evaluate the amount of stress in your life and then move the line so that you can train more and still recover. When it comes to metatarsal stress fractures the bottom line is that you don’t actually have to stop running, but what you have to do is make sure that you lower the stress enough to recover and heal. So the real task that you and your doctor have when you think you have a stress fracture is to figure out how bad the stress fracture is, how bad the injury might be and then you have to figure out how to reduce the stress enough so that you can actually keep running and keep healing…all at the same time. The good news of course is that as an athlete you are primed to recover quickly. Now you need to think about this. All you do when you’re training, is that you do deliberate tissue damage that’s going to help you build stronger muscles, bones, tendons, ligaments and everything else as it heals. You don’t get stronger when you train. You get stronger when you recover. You get stronger when your body rebuilds tissue. That daily tissue damage and tissue repair cycle that you have as you train your body to perform will not only work when you’re training, but it will also work when you get injured. Remember stress is cumulative. Mechanical stress like gravity, training, hill repeats, lifting weights, environmental stressors like getting exposed to exhaust from a car, emotional stressors and nutritional stressors…it’s all stress. You have to consider all of the different forms of stress present in your life. You have to try to manage and reduced the stress as much as possible. You have to take all of the factors into consideration and then figure out what you have to do to move the line of your threshold for recovery. Then you have just to deliberately alter the ways that you run or train so that you can stay below your threshold for recovery if you want continue to stay fit and active. And if you do that you can continue to run and continue to heal. You don’t necessarily have to stop training. 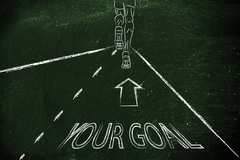 In many cases you can train, and heal, and do well in your next key race. 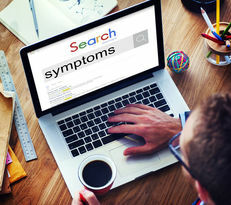 The bottom line is that you have to make sure you ask for more specific information and question your doctor whenever you see a doctor and you think you might have a stress fracture. Don’t just accept all the myths about stress fractures at face value. 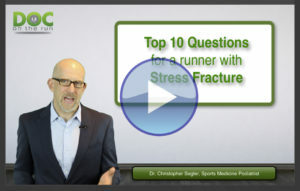 Top 10 questions to help decide when you can run if you have a stress fracture. And then make sure you join me for the next edition of the Doc On The Run Podcast! Dr. Christopher Segler is a podiatrist and ankle surgeon who has won an award for his research on diagnosing subtle fractures involving the ankle that are often initially thought to be only ankle sprains. He believes that it is important to see the very best ankle sprain doctor in San Francisco that you can find. Fortunately, San Francisco has many of the best ankle sprain specialists in the United States practicing right here in the Bay Area. He offers house calls for those with ankle injuries who have a tough time getting to a podiatry office. You can reach him directly at (415) 308-0833. «« The best way for runners to ice when they have plantar fasciitis.